Aaaa-cho! 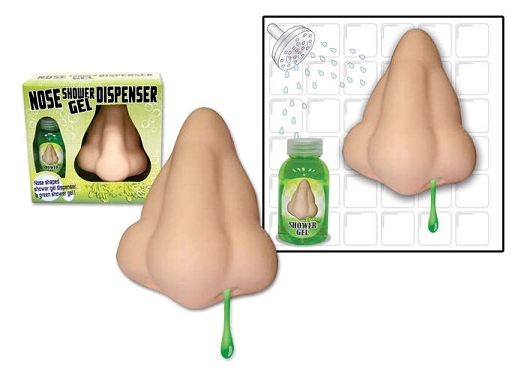 Pardon me....This humorous nose-shaped shower gel dispenser gives you a nosefull of green shower gel (included) when you're ready to lather. Directions for use: unscrew cap on back of nose and fill with shower gel. Screw cap back into place. Squeeze or press nose and hold hand under right nostril. Turn anything into a speaker! 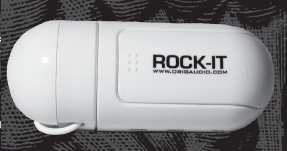 The Rock-It Portable Vibration speaker takes music from your device and turns it into vibration sequences. It sends those vibrations through the Rock It Pod which can stick to any object. Simply press play on your device and the Rock-It will turn the object into a speaker.